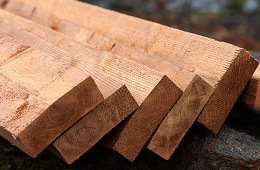 SWM-Wood manufactures Thermowood®, especially for various industries and timber companies. 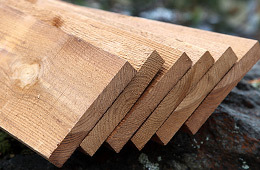 Our raw materials include domestic pine and spruce and radiata pine. The timber we use for raw material has healthy knots and is acquired from PEFC™ or FSC® certified suppliers. Thermowood® is an environmentally friendly and fully recyclable product, which is ideal for countless applications. Orders are delivered in run-of-mill lengths from 2.7 to 5.7 m. The final moisture content of thermally modified wood is 4–7%, and shrinkage 1–10mm, depending on the specified dimension. Availability of other dimensions will be checked upon receiving the order.